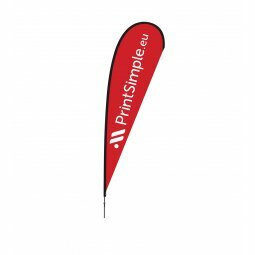 Beachflags are ideal to increase the visibility of your company in a fun way, both indoors but especially outdoors. 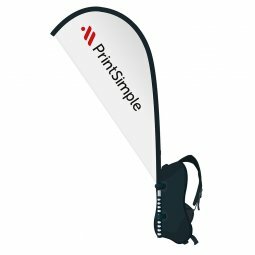 The easy assembly and the carrying bag make beachflags a very flexible and popular communication tool. 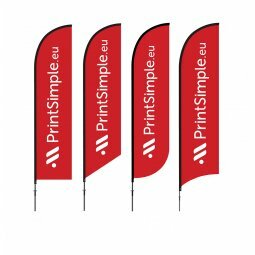 By default, beach flags are printed on one side only, but the print is visible on the back side. 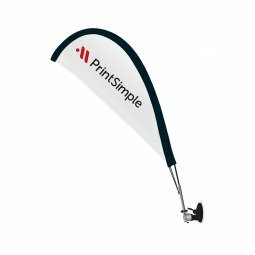 Double-sided printed beach flags are possible, 2 flags are then sewed together. 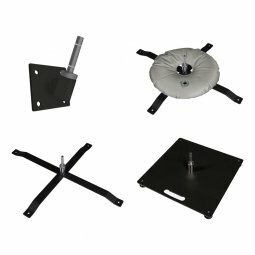 These wear out a lot faster and are therefore not recommended for sustainable use. Hmm we couldn't find any products matching the chosen filter criteria. Change the filter criteria and try again. 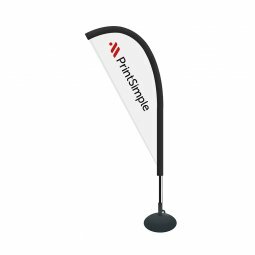 We're here to help you find it! our catalogues? Just fill out this form! 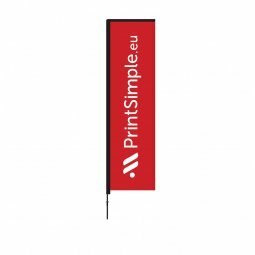 Or give us a call at +32 89 69 49 09!